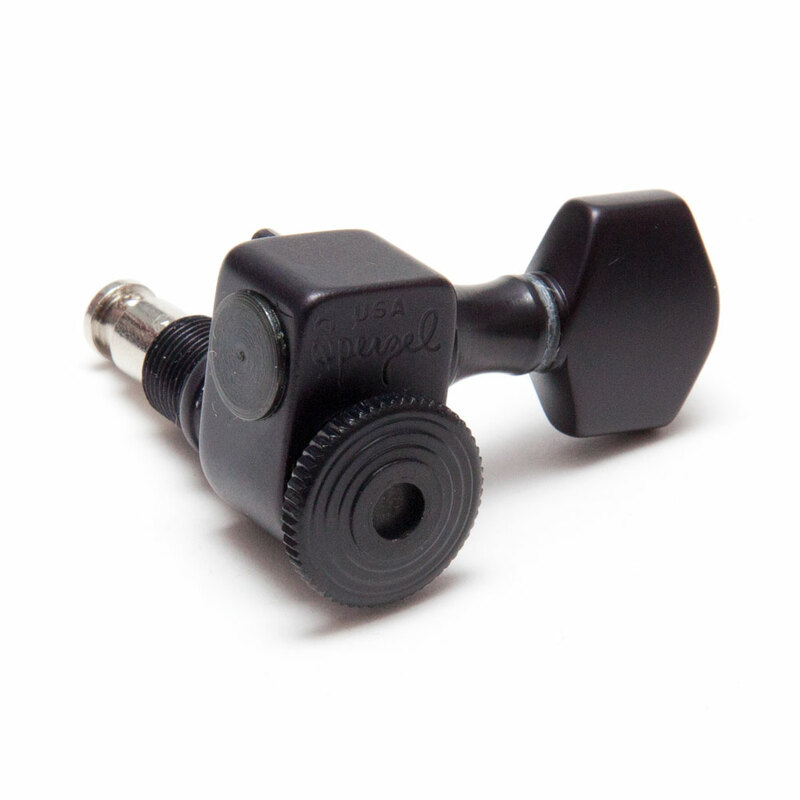 Sperzel Trim-Lok Locking Tuners set the standard for high quality thumbscrew locking tuners, they are machined from solid aluminium to precise machining tolerances to eliminate shaft wobble and provide minimum backlash, the housing extends further up the shaft with the bushing threads on the outside, keeping the string post solid. This is a set of 7 in line for 7 string guitars. The tuners are completely reversible, meaning this set which comes for right handed guitars by default can be switched for installation on left handed guitars. The tuners use a locator pin in the housing rather than an external mounting screw to help fix the tuner to the headstock.